Square plant pots allow potted plants to be placed next to each other without any gaps. This makes the most of the floor space in your grow room, effectively maximising the space for roots. Roots are the engine of a plant and more roots means bigger, healthier, more vigorous plants which gives you the potential for bigger potential yields. We stock a large range of sizes - from the very small to full-size. 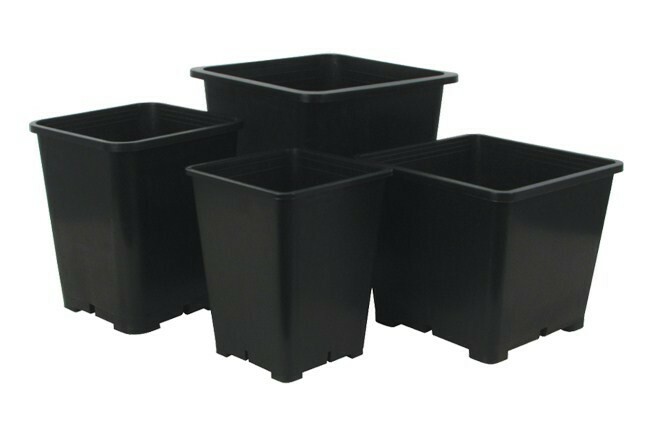 We also stock replacement square pots for the Atami Wilma hydroponic dripper systems.